The Dallas Stars promote responsible drinking and positive fan behavior at Verizon Center. The Stars Fan Code of Conduct and the details of the Stars alcohol management plan that appear below ensure that fans have a safe and fun experience. Fans may not interfere with the event and/or athletes in any manner. Guests will not smoke or vapor in the venue, but in designated smoking areas only. Guests will be required to wear a shirt and shoes at all times for their own safety. Guest are not allowed to have signs or clothing with obscene or indecent messages, images or text. American Airlines Center arena staff has been trained to intervene when deemed necessary and to use their best discretion to help ensure that guests who ignore the Code of Conduct do not interfere with other guests’ ability to enjoy an event. Guests who violate the Code of Conduct may be subject to ejection without refund and, to the extent their conduct constitutes a violation of law, may be subject to arrest. Season ticket holders may also be subject to having their season subscription revoked. Please note that for sporting events, all guests are also subject to the NBA and NHL Code of Conduct. 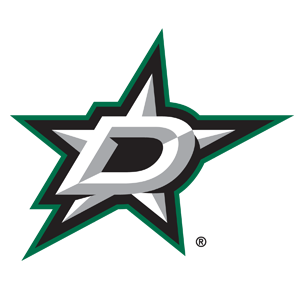 The Dallas Stars offer fans the Bud Light Good Sport Designated Driver program at all Stars games at American Airlines Center. The Designated Driver Program is designed to ensure guests a safe trip home from American Airlines Center events. Guests who pledge not to drink alcoholic beverages during the event may sign up at Guest Relations and may be eligible for promotional giveaway items.